Single build polyurethane insulated 44awg magnet wire, special charged Alnico 8 bar magnet with dual slug coils. Do not let the high DC resistance fool you into thinking this is a output humbucker. The use of alnico 8 charged to these specifications brings in a full and even responsiveness forming a great EQ for top strings and low. I feel it to be the nicest sounding trembucker I have ever heard. 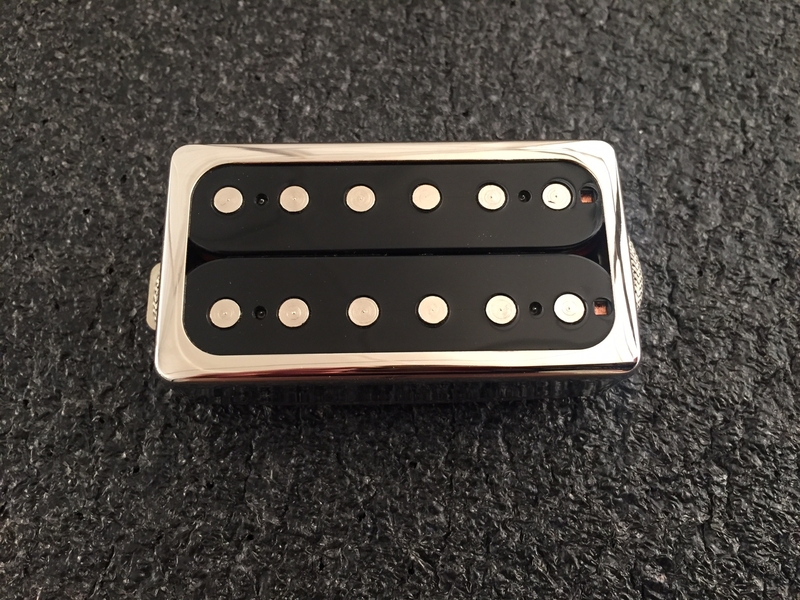 A perfect compliment to a single coil neck pickup.